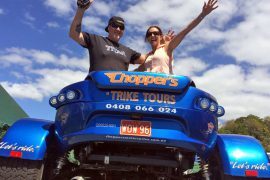 It is my pleasure to offer you my chauffeured Harley & Trike rides & Motorcycle hire – based in Cairns, Queensland – the Tropical North of Australia. 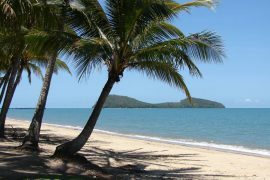 I have worked in the tourism and travel industry since 1989, offering Car Hire & Rental from my Mini Car & Boomerang stores in Cairns, and I am now offering some great ‘motorcycle experiences’ covering the beautiful tropical rainforests and seasides surrounding our sunny city. To see a ‘short list’ of available rides, visit my OUR RIDES page, but keep in mind that we can customise any ride to suit your exact ‘Sense of Adventure’. We also offer Cairns Motorbike Hire with a Diverse Range of Motorcycles for Hire Ranging From Harley Davidson, Ducati, Suzuki, Kawasaki, BMW and more. 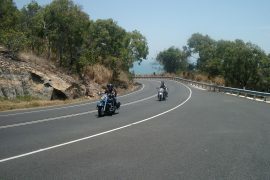 I was born into motorcycles as my father George’s love of anything with 2 wheels became entrenched in my psyche. From my early teens I would tinker with trail bikes and once able to obtain my license, I would ride with my mates to bike shows and speedway races whenever possible. Whenever a Harley went past, I felt my heart palpitate a little and as a matter of fact my wife Anne has the same effect on me to this day. My passion for motorcycling led me to the idea of sharing my experiences with people from all over the world. 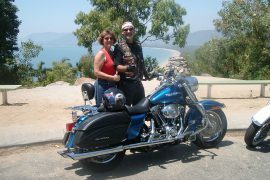 With the support of my wife Anne & son Mitchell, we welcome locals & visitors to the joys of motorcycling on some of the most scenic and picturesque roads and highways in far north Queensland. WE ALSO DO TRIKE RIDES! 1 or 2 People can now ride in style on our new 2011 CUSTOM CHOPPER TRIKE and travel in STYLE to your function.. Weddings, Birthdays, Formals, 21st Celebrations.. Contact us with YOUR DREAM and we will make it come true!